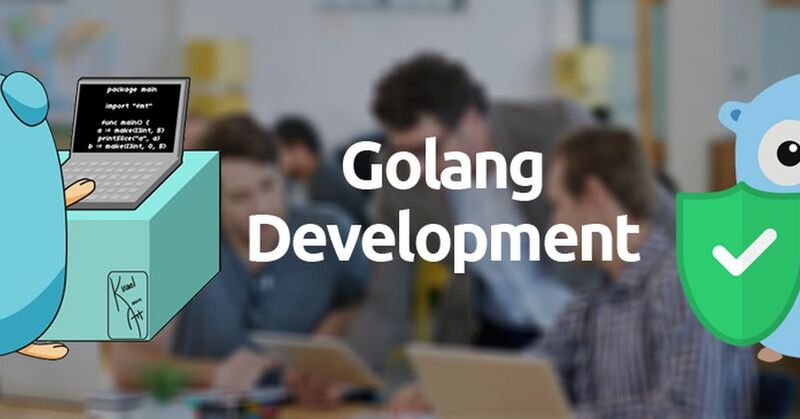 Choosing the best Golang company for your company will be difficult.Just going in and searching in google will result in thousands of companies around the world.To select the best from the list is a difficult task.We suggest you the beat companies which matches your profile and can bring you the best results. Go is an Object-oriented programming language created by Google developed mainly for servers.Golang is a language for a multi-core processor which is easy, compiled and ease of programming. It can be equally successfully used for all kinds of projects whether it’s web, app, server development or microservice design. Go comes with a powerful standard library, distributed as packages. This library caters to most components, libraries that developers have come to expect from 3rd party packages when it comes to other languages. Go combines modern day developer workflow of working with Open Source projects and includes that in the way it manages external packages. Support is provided directly in the tooling to get external packages and publish your own packages in a set of easy commands. Go has a garbage collector for memory management, so there is no need for freeing memory.Go is designed to scale efficiently so that it can be used to build very big applications.The fast compilation is made possible to a small extent since the language is easy to parse and its dependency management. Go generates binaries for your applications with all the dependencies built-in. This removes the need for you to install runtimes that are necessary for running your application. This eases the task of deploying applications and providing necessary updates across thousands of installations. With its support for multiple OS and processor architectures, this is a big win for the language. Eliftech is a young ambitious and trusted global technology service company that designs, builds and implements effective software technology solutions fulfilling the needs of customers.It covers all aspects of software product development using the latest technologies and frameworks. eTeam is a cost-effective and high-quality software development company helps enterprise clients with fast and agile development teams while maintaining all security and corporate governance requirements. Perpetual is a software design and development agency which build custom web and mobile products for clients.The clients include large corporations in the media and financial services space and several startups across different industries. Waverley is a software engineering company with dedicated development experts in Eastern Europe and Southeast Asia, which helps to build award-winning software products for both renowned tech giants and innovative startups.